Honda's Odyssey is arguably the best looking offering in the seven-seat people-mover range. BEING regarded as the most attractive people-mover going around probably isn't the most auspicious title. It is up there with best behaved rugby league player or finest smelling Englishman. 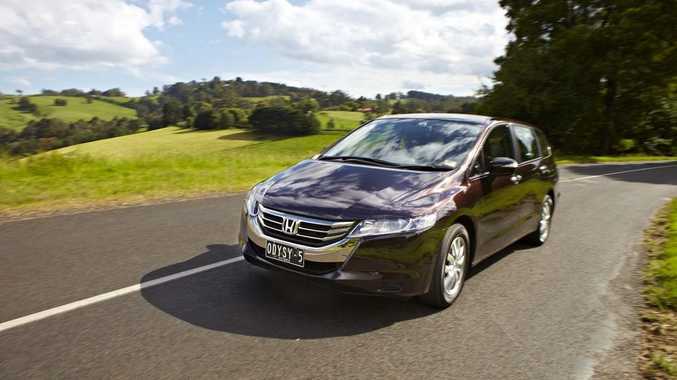 But there is a whole lot to like about the Honda Odyssey. It has secured the Drive Car of the Year people-mover category title three years in succession for good reason. The sleek seven-seater is also a lynchpin for the Japanese marque's Australian sales and late last year they dangled a longer carrot in front of buyers. With a price cut of $2000, the Odyssey also gained some impressive extra kit like a rear view camera, sat nav and Bluetooth to make it more alluring to tech-savvy consumers. It also comes with a minor facelift and the latest models can be differentiated by a new-look grille, bumper and LED tail-lights. At just over $37,000 the changes have only served to strengthen the Odyssey's position. Standard specification is no reflection of the fit and finish within. Like others in the Honda range it's a modern cabin interpretation. The driver stares down the barrel of 3D-style gauges which have a layering effect. It's a style that is replicated across the dash, and while hard plastics are used in some areas it is a surface that's easy to clean after the influence of grubby little hands. The sat nav touch-screen looks somewhat out of place and it can be awkward to reach when sitting with the seat belt on in the front. The seats are comfortable in all rows, and the driver has the added bonus of tilt and telescopic control of the wheel. Legroom in the third row is not genre-leading, so it territory probably best suited to kids. Six cup holders and four bottle holders are good inclusions given the cargo the Odyssey carries, while there are ample storage spots for various bits and pieces up front as well as pockets in all doors. Rarely does it feel like you are at the helm of a people-mover. Honda has managed to deliver car-like performance from the seven-seater. Under the metal is a 2.4-litre four-cylinder which on paper looks undernourished for a car of this size, but in reality it is a solid and honest performer. While no sports car, once under way the Odyssey feels responsive under acceleration and is workmanlike as it goes about its business. This update includes steering wheel mounted paddles which come in handy when tackling inclines while fully laden. It feels surefooted and the brakes are strong, although the steering can be too light and tends to lack feel on the highway. 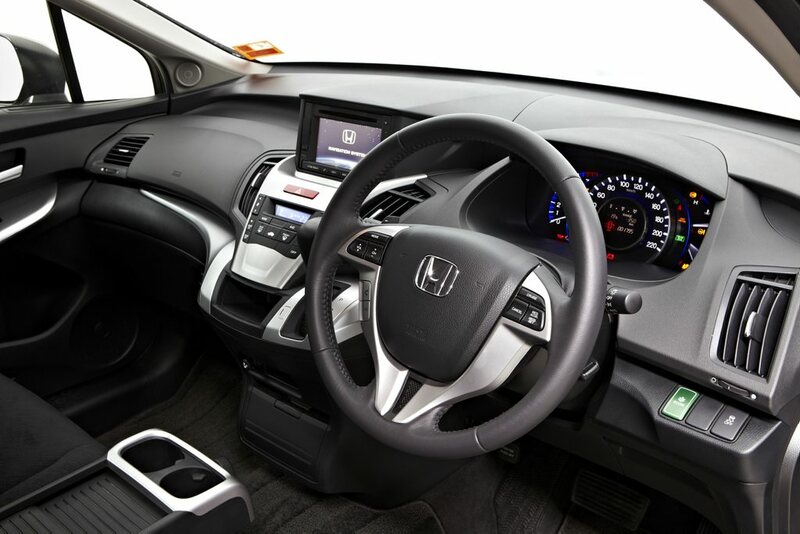 Another new addition is Honda's economy program which helps the driver achieve greater fuel consumption efficiency. Standard inclusions now list the likes of sat nav with USB connectivity and iPod integration, Bluetooth connection for your phone and audio streaming, as well as a rear reversing camera. Add that to the likes of climate controlled air con, CD/DVD entertainment unit, leather-wrapped steering wheel, trip computer, along with five-star safety that includes stability control and anti-lock brakes. While your get the rear view camera as standard, sensors are only an option. There are three big players in the people-mover market, the Toyota Tarago GLi ($52,490), Hyundai iMax Shuttle ($37,290) and Kia Grand Carnival ($38,990 drive away). Chrysler's Grand Voyager is worth looking at ($57,000) but there are also a host of seven-seater SUVs now around. 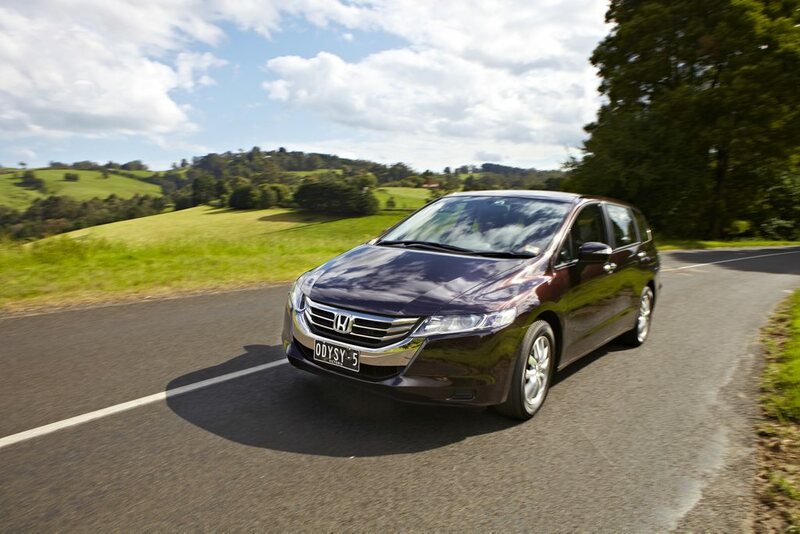 For those looking for seven-seats but don't need masses of load carrying ability, the Odyssey is hard to beat. With all seats deployed the boot is small, yet the third row is primarily the domain of kids. There are five child seat anchorage points (the third row hooks are in the roof), and the second and third rows have good folding attributes which leaves a handy load space. With typical Honda fit and finish you can be assured of longevity. Resale should also be solid. Servicing and insurance should be reasonable, along with replacement rubber. It's certainly the most appealing offering aesthetically within the people-mover genre. This has the people-mover attributes without the van persona. Combine price, space and drivability, and the Odyssey is difficult to fault. Opting for the standard specification doesn't leave you feeling short-changed and it does cost an extra five grand to step up into the Luxury. 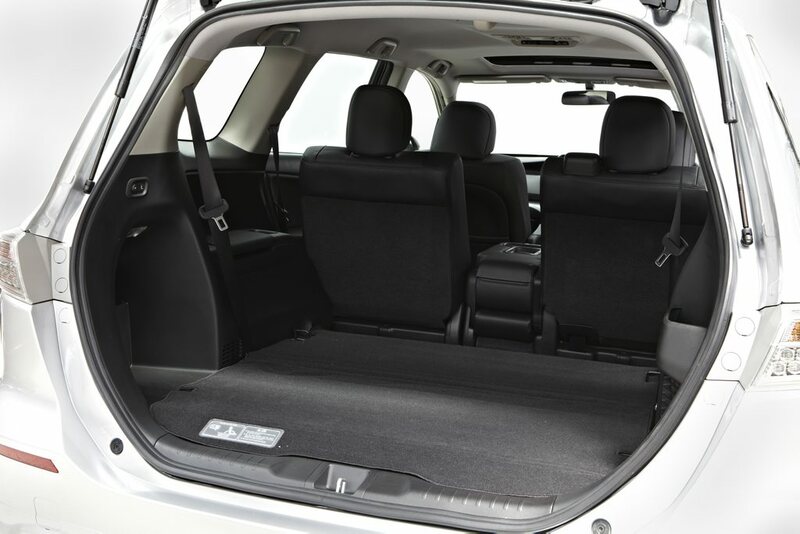 It is perfect for the growing family and, with the third seat row flat, the boot space is expansive. Details: Five-door seven-seat front-wheel drive people-mover. Engine: 2.4-litre in-line four-cylinder petrol generating maximum power of 132kW @ 6500rpm and peak torque of 218Nm @ 4500rpm.